Posted on October 29, 2013 by admin / This entry was posted in Recipes. Bookmark the permalink. In a small bowl, dissolve yeast in warm water and set aside. In a large bowl mix the water, sugar, butter olive oil, salt, and egg. Add 2 cups of flour and mix until smooth. Add yeast mixture. Mix in remaining flour until dough is easy to handle. Knead dough on lightly floured surface for 5 to 10 minutes. Place in well-greased bowl, cover and let rise until doubled in size, usually 1 to 1 1/2 hours. When doubled in size, punch down dough. Roll out on a floured surface into a 15 by 9-inch rectangle. Spread butter olive oil all over dough. 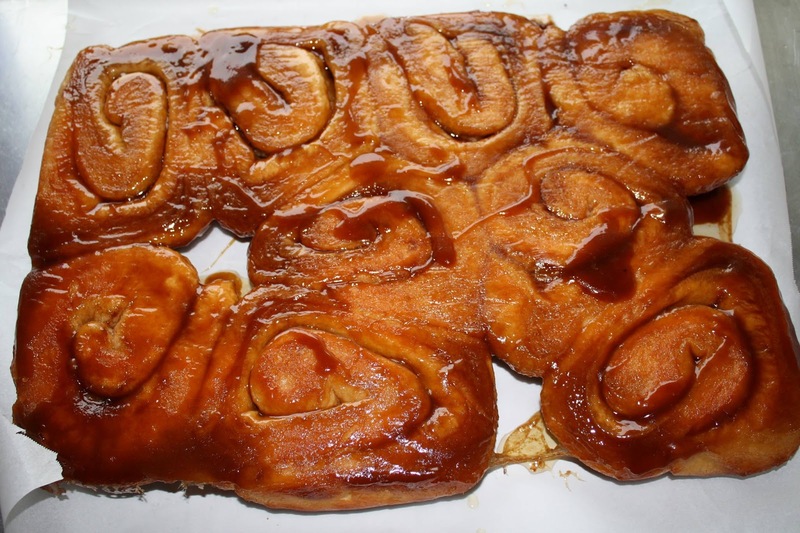 Mix sugar and cinnamon and sprinkle over “buttered” dough. Sprinkle with walnuts and or raisins, if desired. Beginning at the 15-inch side, role up dough and pinch edge together to seal. Cut into 12 to 15 slices. Coat the bottom of baking pan with 1/3 cup butter olive oil and sprinkle with 1/2 brown sugar. Place cinnamon roll slices close together in the pan and let rise until dough is doubled, about 45 minutes. Bake for about 30 minutes or until nicely browned.